We strive to offer the best possible service, installation and repair available throughout Volusia County, Florida. We offers 24 hour service/365 days a year. At A.C. Goodier Co. Heating & Air Conditioning, we take great pride in the manner with which we conduct business every day. We are extremely committed to doing what is right for all of our key stakeholders: our customers, our employees, our vendors and suppliers and the Central Florida communities where we operate. We have found that when we provide our customers with the highest quality products and first-rate service, they are more likely to refer us to family and friends. When we work openly and honestly with our suppliers and vendors, we can build deep relationships that make us a true extension of their brands. When we take care of our employees well, they take care of our customers well. And, when we support organizations where we live and work, we send a clear message that we want to be a valued member of the community. Our policy is to be open, honest and accurate in all aspects of our business. We are committed to you, our valued customers, to be 100% honest, ethical and trustworthy in all aspects of our business. We realize the customer is the most important asset of our business. 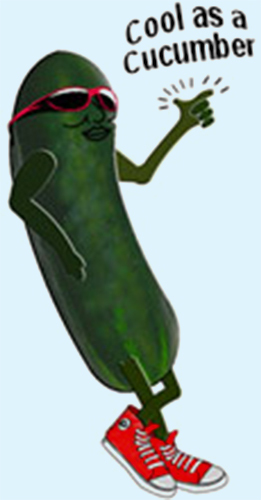 Be “Cool As A Cucumber” with A.C. Goodier Co.
WE WANT TO BE YOUR AC SERVICE COMPANY!